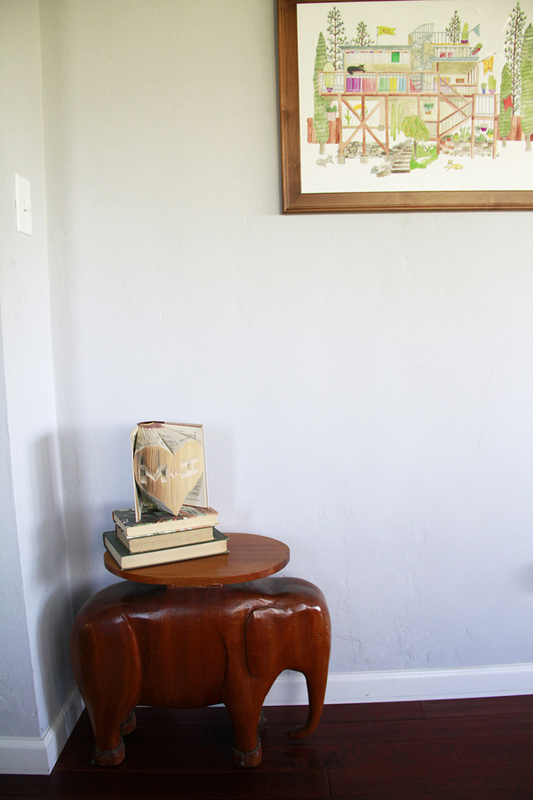 The Eames rocker is one of my favorite recent décor additions. So cozy and so classic! In case you were curious, the national parks print is from Schoolhouse Electric and the Cali print is from Rocket Ink. 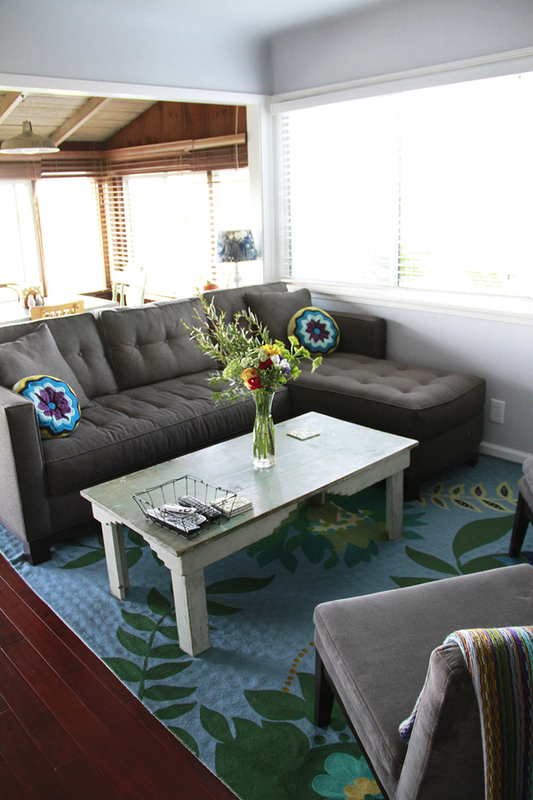 The rug is from West Elm. The house didn’t look much like this at all when we first bought it. 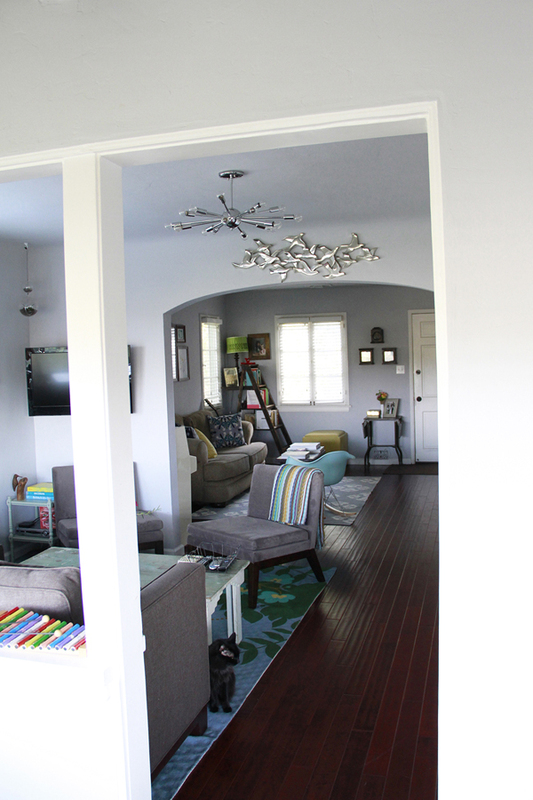 Mark’s dad is a contractor, so he helped us spruce things up a bit (including adding on a second bedroom and bathroom, which you’ll see in a later post). 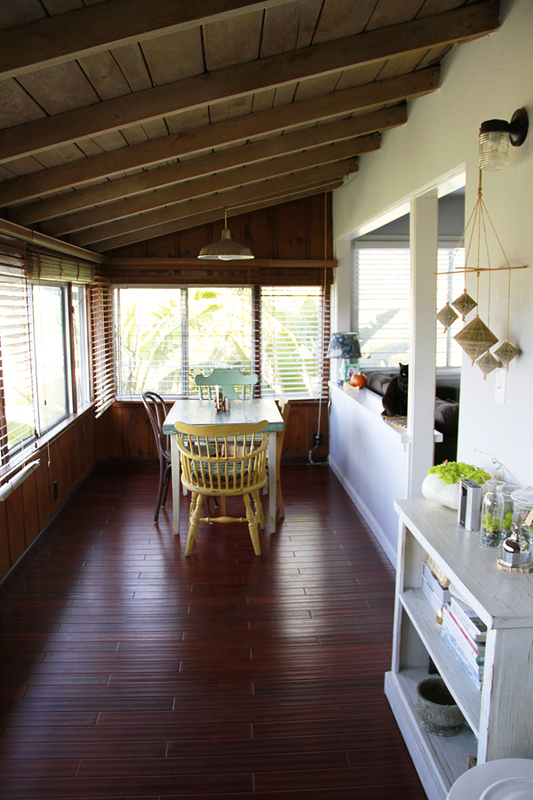 The wood floors are new too. The illustration you see above is a custom drawing of our house, from the viewpoint of the backyard. It was a wedding gift from my two best friends. 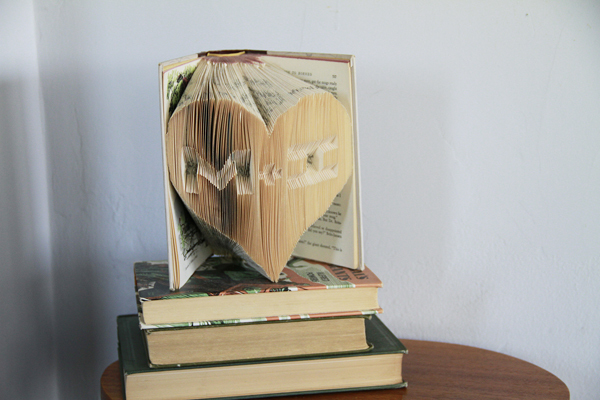 The book was folded by Mark. For me, the decorating process never really ends. 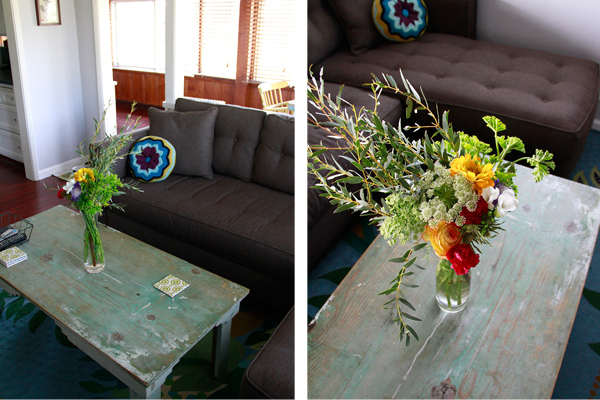 Just today I was swapping out coffee tables and rearranging furniture once again. But whatever little changes we make, our space is always very reflective of me and Mark—lots of color, light, and other fun décor that inspires us creatively. Anyway, I hope you enjoyed the photos. Coming soon… a look into our bedroom! P.S. Be sure to check out Stephanie’s blog House of Harvey. Her pup Harvey is pretty much the cutest thing ever. 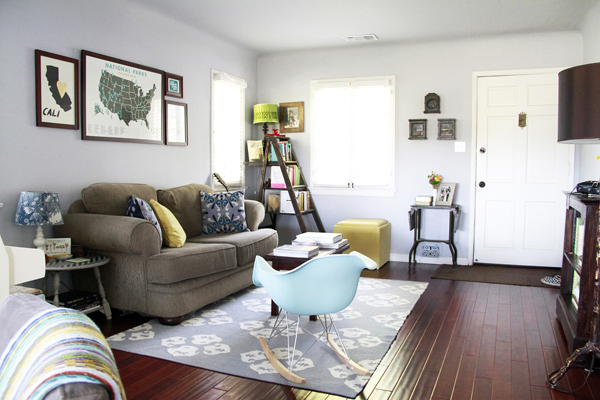 This entry was posted in Decor + DIY, Home Tour and tagged decor, home, home tour, nesting. Bookmark the permalink. is anything you do not perfectly adorable? 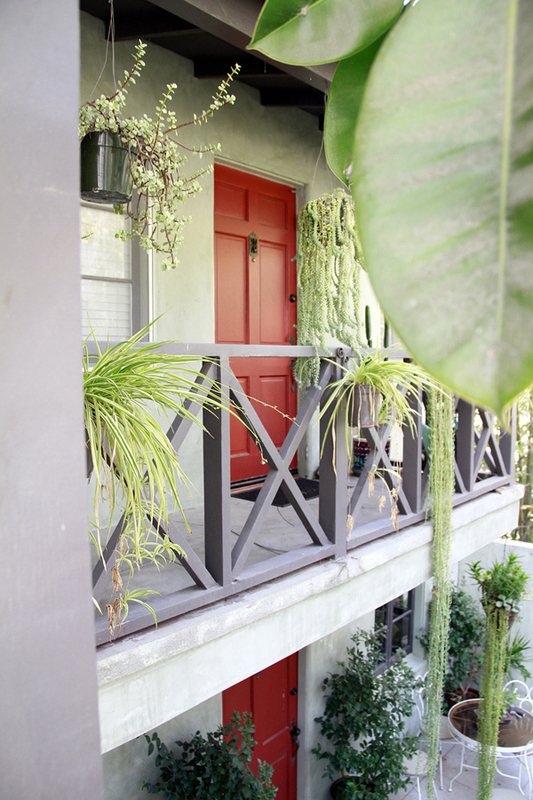 in love with your home, it really shows off your style and personality! 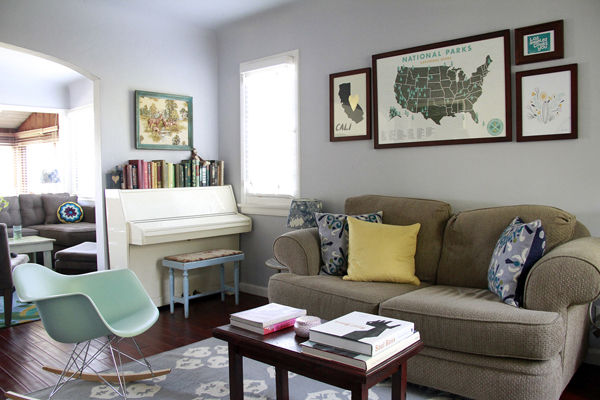 Can you share the brand of your grey sectional? Love it. I’m not sure of the brand, but I know that they sell it at Pampa in LA. I think it is called the ‘Structure’ sectional. If you call them, they will probably be able to give you some more info!